Combine TIFF Within Folders with the help of Coolutils! As a file format, TIFFs bring their own set of pros and cons with them. They are excellent for storing high-resolution originals of your graphics but can be awkward when it comes to sharing with colleagues or customers. Plus, the large file sizes associated with them means it can be painfully slow to perform simple tasks such as combining several TIFFs into one document. Tiff Combine is an incredibly handy file utility that tackles both of these problems with ease. It gives you the ability to combine one or many TIFF files into a single TIFF or PDF file - a piece of functionality that would make the affordable purchase price worthwhile by itself. Where Tiff Combine really comes into its own though is when you are dealing with multiple files in folders. If you have ever found yourself having to combine TIFF files by folders you will be painfully familiar with the amount of manual hunting and pecking it typically requires. 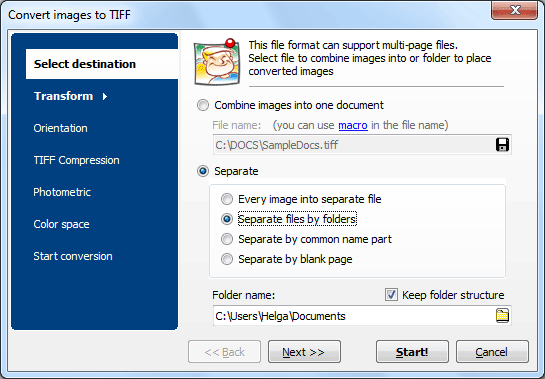 Tiff Combine lets you combine TIFF images within folders with minimum fuss and quickly generate PDFs or a single TIFF file as output. No more tedious opening and closing of individual files! For even greater efficiency, you can merge TIFF by folders. For example, if you have two folders with five TIFF files in each, you can simply use merge to quickly generate two multi-page TIFF files. The potential time-savings with this feature are enormous. A little up-front time invested in organising your folder structure will pay off down the line. Naturally, you will also have full control over common TIFF settings such as compression and color space at all times. As with all our software solutions, you are free to use Tiff Combine either through its straightforward GUI or access its full range of functionality via the command line with just a few keystrokes. An ActiveX enabled version is also available in the form of TiffCombineX which can be installed on web servers or even embedded in applications. 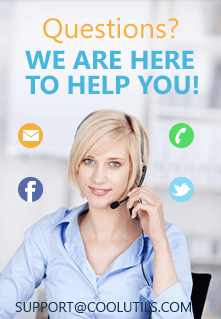 We are confident you will not find a better solution for quickly combining your TIFF files anywhere else on the market.